New Management appointments to build the company's expertise and provide renewed focus to its services in the region. HEATHROW, LONDON, UNITED KINGDOM, July 3, 2018 /EINPresswire.com/ -- MELBOURNE: As part of its global strategic expansion plan, B&H Worldwide, the award winning leader in aerospace logistics, has made two key appointments in the Oceania region. Colin Kaltner becomes Head of Operations and Sita Tauakipulu takes on the role of Commercial Accounts Manager based in Auckland, New Zealand. Designed to further boost the leadership of its operational capabilities, where it sets market-leading standards, these new management appointments will build the company's expertise and provide renewed focus to its services in the region. Both individuals had previously worked for B&H and are now returning to the company in these senior positions. Kaltner started his career at B&H in London in 2000 before moving to the B&H Los Angeles office where he was Operations Manager. From there he went on to B&H Australia where he held an operational and commercial account management role. In 2016 he left to take up a position at Jetstar Airways as freight manager before re-joining B&H this month. B&H's teams in Melbourne, Sydney and Auckland will now report to Kaltner. "Colin's aerospace logistics experience over the last 15 years coupled with his in-depth commercial knowledge will be a wonderful asset to the company and provides a great example of the career opportunities that exist at B&H. 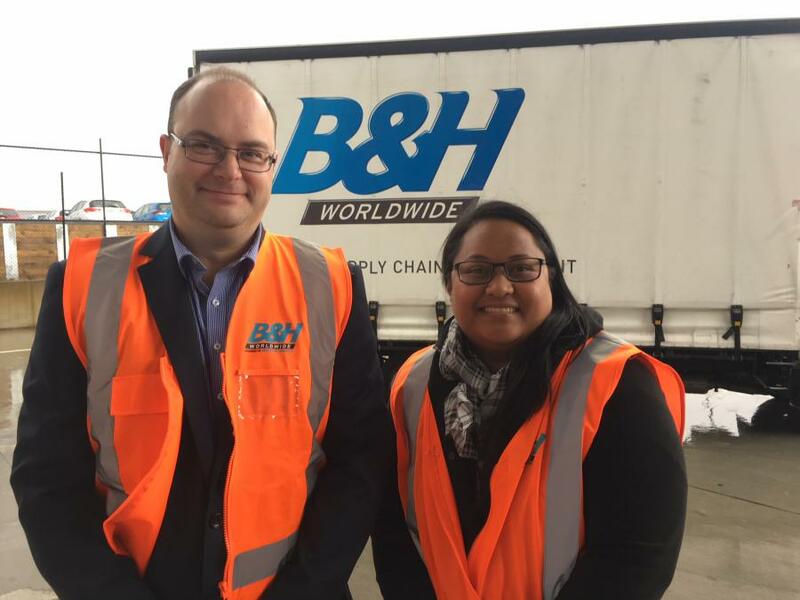 It truly demonstrates the business' commitment to developing our people and our investment in the Oceania region," says B&H Worldwide CEO, Stuart Allen. Adds Kaltner: "I really missed the cut and thrust of working at B&H which is undoubtedly the rising star in this specialist vertical market. So, when this exciting opportunity arose, it presented a wonderful opening to use the skills I have learned from working on both sides of the fence into action and to put them to full use to provide our customers with the first-class service standards which they really need and for which B&H is rightly proud of delivering". Also returning to B&H is Sita Tauakipulu, who previously worked in the operations team in New Zealand. In her new position she takes on strategic account management across the country where she is looking forward to the challenge of further building solid business relationships with existing customers, prospects and business partners. "I am greatly looking forward to my expanded role on my return to B&H," she states. "Being an important part of the Oceania team and helping to drive the business forward will enable me to provide tactical support across the B&H group of companies".